"Guardianes del cielo cuyano" (Guardians of the skies over Cuyo) claim having seen a new UFO in Pocito. 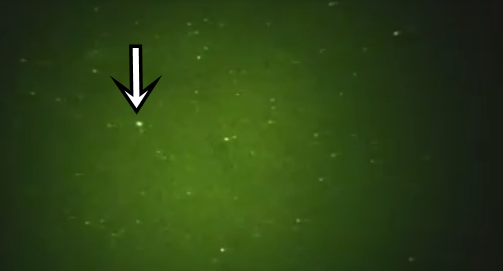 The UFO watchers allegeldy saw an unidentified flying object in the sky and recorded it on a camera. "Guardianes del cielo cuyano" had a new sigthing this past January. 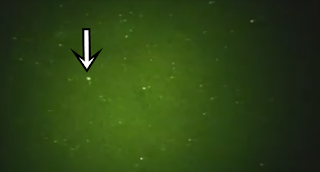 The UFO hunters claim having seen an unidentified flying object which they recorded on a camera, subsequently uploading the footage to social media. "Please excuse our absence. A lot of work and little time. Much new material to be shared. We will catch up little by little. In this instance, we present an interesting video that tracks a rather suspicious object, leading us to the discovery of a seemingly stationary anomaly in deep space. As always, we leave the matter to your own judgement. We await your comments and conclusions, which are important to the sky guardian community," wrote the youngsters in their Facebook page beside the video. Publicado por Terra Incognita en 11:46 a. m.